70% professionals, 20% students, 10% others. Salvatore Fanali is Director of Research at the Institute of Chemical Methodologies, Italian National Research Council (C.N.R.) in Monterotondo (Rome), Italy, and head of the Capillary Electromigration and Chromatographic Methods Unit at the same Institute. His research activity is mainly focused on separation science including the development of modern miniaturized techniques (electrodriven and liquid chromatography). He also studies hyphenation with mass spectrometry, and development of new stationary phases. Separation methods developed are currently applied to food, pharmaceuticals, chiral environment, and biomedical analysis. He is Editor of the Journal of Chromatography A and a member of the advisory editorial board of seven international scientific journals. Fanali is the author of about 300 publications including some book chapters. He received several awards including the “Liberti Medal” in Separation Science from the Italian Chemical Society. Paul Haddad has obtained the degrees of BSc, PhD, and DSc from the University of New South Wales. 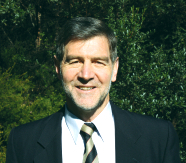 His academic career has been spent at the Australian National University, the University of New South Wales, and since 1992 at the University of Tasmania where he is currently a Distinguished Professor of Chemistry and Australian Research Council Federation Fellow. He was Director of the Australian Centre for Research on Separation Science from 2001-2013 and is currently Director of the Pfizer Analytical Research Centre. He has a long-standing research interest in analytical separations of inorganic species and has more than 500 publications in this general field. He has also presented in excess of 450 papers at local and international scientific meetings. He is an editor of Journal of Chromatography A (since 2005), a contributing editor for Trends in Analytical Chemistry (since 2000), and was an editor of Analytica Chimica Acta for 6 years. He is currently a member of the editorial boards of 10 other journals of analytical chemistry or separation science. He is the recipient of a number of national and international awards, including the ACS Award in Chromatography, the Marcel Golay Award, the AJP Martin Gold Medal awarded by the Chromatographic Society, the Royal Society of Chemistry Analytical Separation Methods Award, the RACI HG Smith and Analytical Division medals, the inaugural University of Tasmania Vice-Chancellor's Medal for Research Excellence, and the inaugural Tasmanian Premier’s Scientist of the Year award. 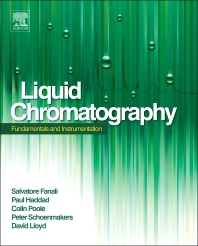 Professor Colin Poole is internationally known in the field of thin-layer chromatography and is an editor of the Journal of Chromatography and former editor of the Journal of Planar Chromatography – Modern TLC. He has authored several books on chromatography, recent examples being “The Essence of Chromatography” published by Elsevier (2003), and “Gas Chromatography” published by Elsevier (2012). He is the author of approximately 400 research articles, many of which deal with thin-layer chromatography, and is co-chair of the biennial “International Symposium on High-Performance Thin-Layer Chromatography”. David Lloyd obtained his PhD from the Department of Chemistry, University of York, UK, working with Prof. David Goodall on the development of laser-based polarimetry as a chiral detection method. He then completed postdoctoral research on bioanalytical capillary electrophoresis (CE) with Prof. Irving Wainer at St. Jude Children’s Research Hospital in Memphis, TN. He has since worked both in academia (McGill University, Departments of Oncology and Experimental Medicine) and the pharmaceutical industry (DuPont Pharmaceuticals and Bristol-Myers Squibb). Whilst at McGill, Dr. Lloyd’s analytical research focused on microscale bioanalysis by CE and on chiral CE. Since moving to the pharmaceutical industry, his responsibilities have been in analytical R&D for projects ranging from the late discovery stage through worldwide registrational filings, with a primary focus on separations science. 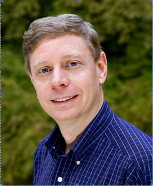 From 1995 – 2002, Dr. Lloyd was Contributing Editor of TrAC - Trends in Analytical Chemistry; and from 1999 - 2011, he was Editor of the Journal of Chromatography B.